Yes, some of the top Indian TV Channels demand a price tag of Rs. 3,50,000 for a 10 second spot during primetime. The ad rates are even higher during highly viewed Indian cricket matches. It sure must be, because advertisers do pay that kind of money ! Infact, the channel broadcasters are increasing the ad rates even further by 25%, much to the disappointment of major advertisers. The Indian advertising market has been growing at extremely fast pace since last 5 to 7 years, thanks to consistent economic growth of around 9% and huge rise in the number of Multinationals entering India in last few years. What better medium for these multinationals to reach out to growing Indian middle class consumers. One advertisement during the telecast of India Pakistan cricket match ensures that your product / brand is seen by atleast 200 million TV viewers (approx. ). Do you think Rs.3,50,000/- tag is justified then? If you calculate, it comes to roughly 2 rupees per 1,000 viewers. Thats dirt cheap, I must say! However, it is not all rosy for broadcaster in coming years. The number of TV channels are growing by hundreds. In this year alone more than 100 TV channels are going to get launched and many more in pipeline. With so many channels in fray the competition to acquire ads from advertisers is going to be fierce, thereby pulling down the ad prices. Do you know the number of TV channels that will be available to cable viewers in next 2 years? A whooping 700 TV channels ! Who is going to watch so many channels? And are there enough viewers to watch? Yes, there are! India is likely to see nearly 70% growth, with the subscriber base reaching nearly 77 million households by 2010, from existing 46 million. With those kind of TV channels, India is set to become the largest advertising market in the world. "Indian TV Ads: Is it worth spending Rs. 3,50,000 for 10 second? ", 5 out of 5 based on 1 ratings. The right answer should be the ROI (return on investment). If the 3.5Lac ad helps you reach the right audience and you can get incremental revenues of more than 3.5Lac out of it, then yes It is worth spending the money on that ad. But if it won’t drive enough incremental sales then it ain’t worth the expense. The rational can be different in cases where a new brand wants to position itself in the market or an existing brand wants to diversify. Here even a lesser return would be acceptable. Although still very uncommon in India, appropriate attribution analysis is the way forward to measuring the Media performances for brands to get an edge in the market. Even if channel broadcasters are increasing ad rates, you can place best tv ads in cheap ad spots. There are some online TV media planning and buying platform (e.g. Amagi MIX) that can help you to buy TV ads. can u tel me how many expenses in advertisement a brand / product in one month/one day. Any idea how to advertise on TV? New channels like MoviesNow etc? For last five years Indian TV markets have grown very big and revenue rolled is mind blowing after the launch of IPL cricket in India…Upto that the market boomed seasonally but now the cost gone higher but also sponsors need targetted visitor and convertion should be more even though many channels are mushrooming daily..In this local channels are very big head ache when we turn on tv. aaian tv ad market has grown by 12% in lst yr and indian market responds respondigly..huge population earns huge cost for ads ..right on their part. i hope u might hav to spend atleast 5 times to get the same reach in USA.!! Indian Tv channel advertisements are losing their branding image due to repeating the same on every 10 to 15 minutes like hammering. Person piecefully watching some program gets high irritation & he starts to hate that product. Most of the people’s opinion even in my circle about indian tv ads is nothing but bull s__t…! sometimes i see a code flashing on the screen during any tv program. it goes something like “000724ab” or something similar to it. can anyone tell me what it stands for? what do u think about a new media for advertisements??? a live video add displays all over india.it wil work out??? 700 Channels * 20minutes * 24 Hours= 3,36,000 minutes = 2,01,600 slots of 10 seconds each per day. Avg Tag per 10 sec. 1,00,000 Rs. = 2,01,600,000,000 Rs per day ! Who is going to pay ? U and me. Without our knowledge, and consent. High bids, PPC, PPA, Context ads, Statistics, never shave! I am not sure if its worthy coz it is done over years, however i believe by and large the trend towards tv ad is slightly shifting towards intelligent ad which is quite realistic though subjected to perfect condition. Also the ad should be related to theme of the channel(business related channels should focus on business /economic inclined ads as most of the viewers would prefer business focus ads rather romantic. I personally feel that TV ad rates are not indicative of the actual value. 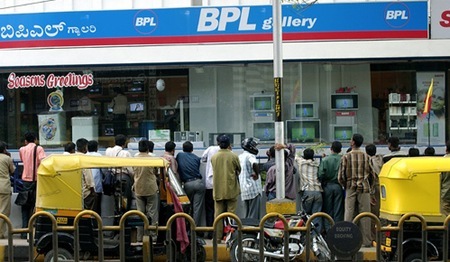 Prime slots such as during an India Pakistan cricket match maybe worth the money, But with so many channels and people's tendency to switch channels makes TV advertising the least popular one. a few days back there was an article in The Hindu "Word of mouth – most powerful ad tool"